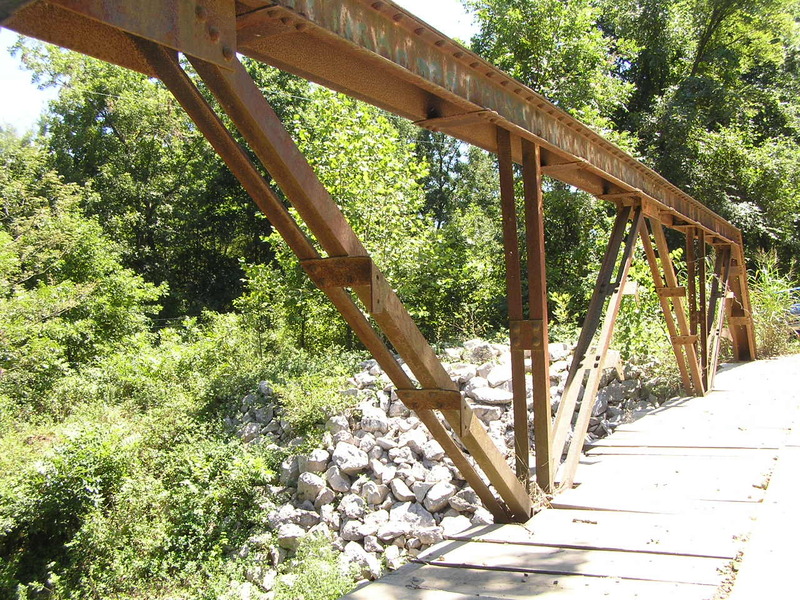 Built in 1929, this 50-foot riveted Warren pony truss spans a small creek near Boynton Above, an overview of the bridge. Below, deck view of truss. Above, detail of truss. 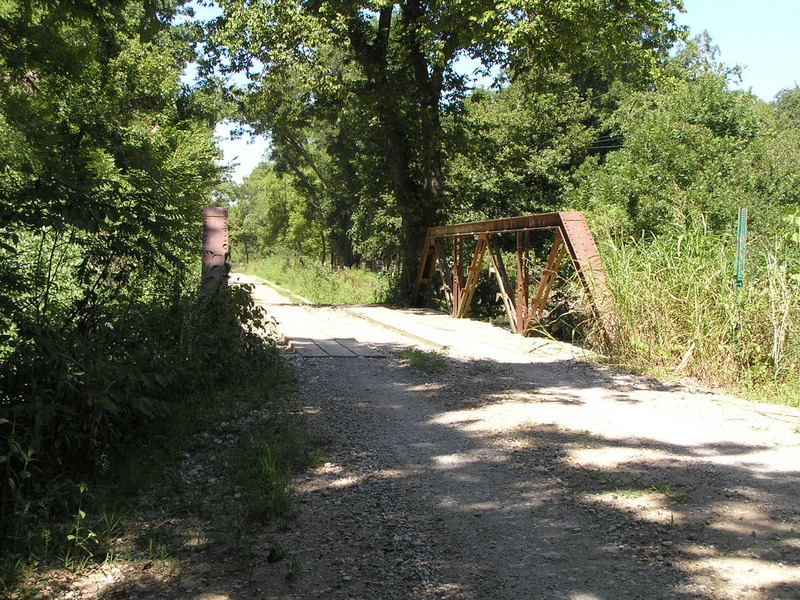 The L-shaped plates with the empty holes were for guard rail mounting. Below, the hip. 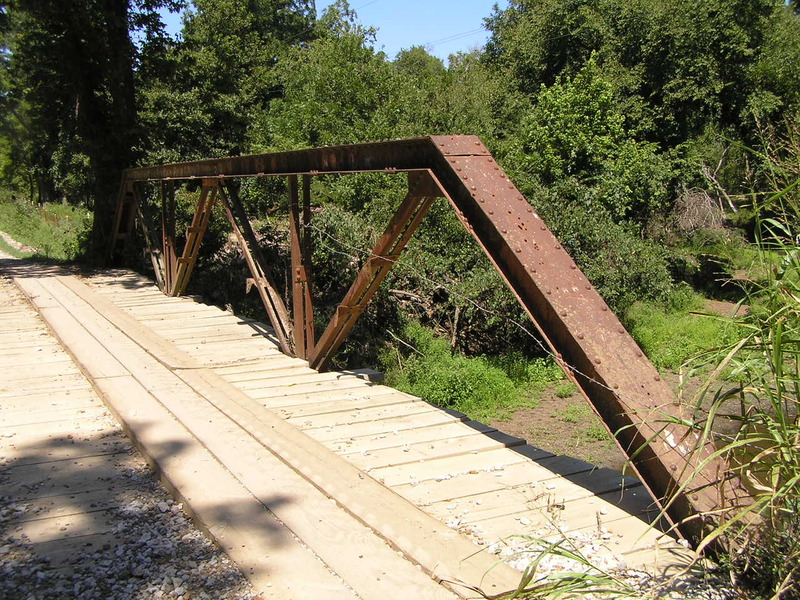 This bridge is actually rather unusual for its exhibition of rather poor fabrication craftsmanship. 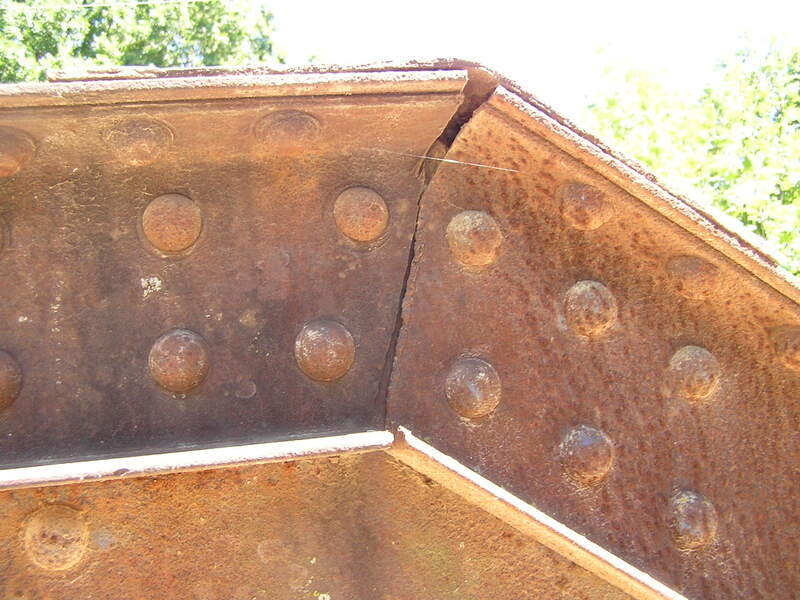 This is not the nice tight miter we are used to seeing on old bridges.